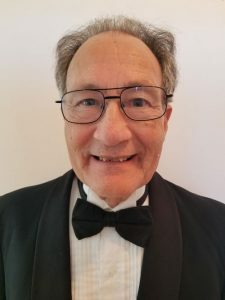 Joseph Kalisman was a member of the cello section of The Fort Wayne Philharmonic for 31 years, from 1986 until his retirement in 2017, and holds advanced degrees in cello performance from The Hartt School in Hartford, CT and Pennsylvania State University. While a student at Hartt, Joseph played with the Hartford Symphony and Springfield, Mass. Symphony. He was also a participant in the New College and Yellow Barn Music Festivals. Joseph believes in the importance of sharing his gifts with others, and finds teaching to be the most effective and rewarding way of doing this. In addition to playing with the Philharmonic, Joseph taught at the Fort Wayne Suzuki Talent Education Academy and maintained an active home studio, teaching students of all levels and age groups. Upon his retirement from the Fort Wayne Philharmonic, Joseph and his wife Susan Hall relocated to the Daytona Beach area. He currently is a core member of The Daytona Solisti Chamber Orchestra and helps out with the Daytona Beach Civic Orchestra at Daytona State College. In their spare time, Joseph and his wife enjoy their two cats, Luna and Mayling, watching art films and classic TV, listening to good music of all genres and, of course, traveling to visit the kids and grandkids.